To reduce the pain, tablets as medicines can be consumed. In choosing the right one, you need to be careful because every procedure has its own risk. If you feel that your babies are fine with that, give them some of the recommended medicines. If not, then still, there are some traditional ways to follow. 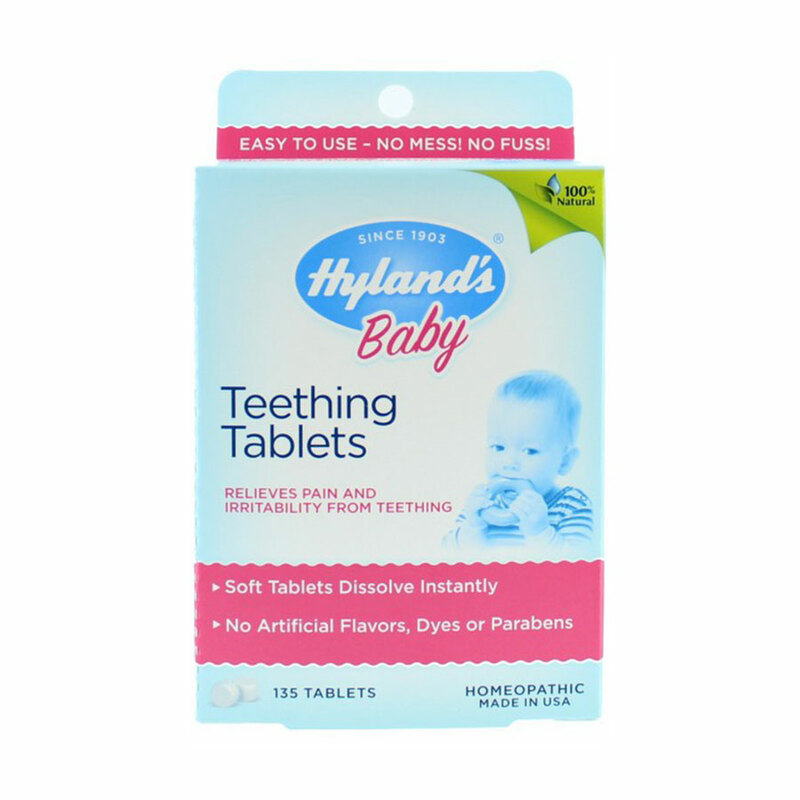 Related to tablets, Hyland’s Teething Tablets is one of the most recommended teething tablets. Even so, a careful examination needs to be done. Here are some. Hyland’s Teething Tablets that are highly recommended, right before they were forbidden in market. Why so? The product is indicated to have active substance, and herbal ingredients called “belladonna”, in an inconsistent amount. Even though the active product called homeopathic is commonly acknowledged to just last for a while, big dosage of “belladonna” will cause hallucinate, difficulties in breathing, the increase of hearts frequency, and other harmful effects. But in 2011, Hyland’s have stopped their brands and guaranteed to release the newer ones with the more safety ingredients and amounts. Now, Hyland’s has released the new ones and promised to be safer. However, it is important for you to be careful in choosing teething tablets. No matter what the brand is, safety is number one. Better consult to your babies’ doctor and ask the best ways to soothe the pain felt by them during teething. If you don’t want to take risk taking teething tablets, you may want to find the alternative. One of them is by having a frozen towel and press it to the cheeks. There is no other harm effects on that. The freeze will give a cold sensation that will calm the babies down. Make sure that the method is done not regularly, just at the time when the pain seems occur. The traditional treatment is well recommended by many doctors. Please be wise in doing this one, or having an intake of Hyland’s Teething Tablets.